CHICAGO, IL (12 September 2013) –The Metropolitan Water Reclamation District of Greater Chicago (MWRD) has selected Black & Veatch and Ostara Nutrient Recovery Technologies to design and build a new nutrient recovery system at its Stickney Water Reclamation Plant in Cicero, IL. The facility will improve water quality in local rivers, lakes and streams. It will also produce commercial fertilizer from recovered resources. Black & Veatch is providing design, procurement and construction services. Ostara will provide the nutrient recovery system, including equipment. Ostara will also provide operations and maintenance assistance to the District once the project is completed. The MWRD, which serves more than 10 million constituents, desired a phosphorus management strategy based on anticipated changes to regulatory limits affecting its effluent discharge permits. In addition, the MWRD’s wastewater system was experiencing an accumulation of the mineral in its struvite form, which can be damaging to pipes and equipment. 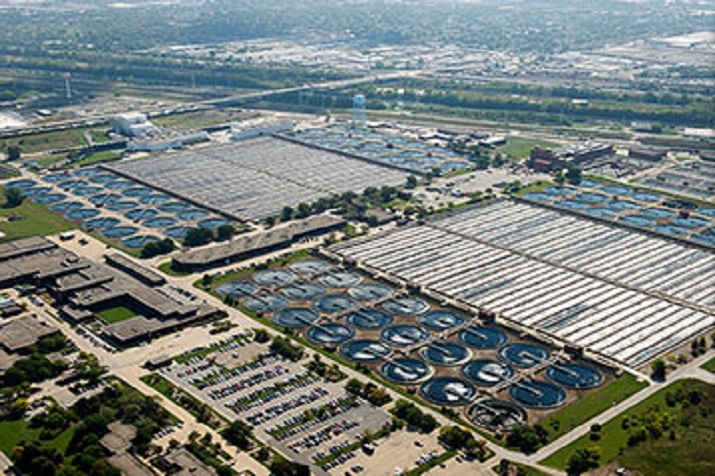 The Stickney Water Reclamation Plant is the largest facility of its kind in the world. It serves 2.2 million people, treats a 260 square mile area including the central part of Chicago and 43 suburban communities, and covers 413 acres. Construction of the new stand-­-alone phosphorus recovery facility will not interrupt the plant’s operations and will connect to the existing treatment plant requiring only short-­- duration shutdowns of ancillary processes. Ostara will contract with the District to purchase the recovered nutrients, which it markets to commercial fertilizer blenders and distributors in the agriculture, turf and ornamental sectors. Black & Veatch Construction Inc. will perform the construction work. The new facility is scheduled for completion in 2015. Black & Veatch is an employee-­-owned, global leader in building Critical Human Infrastructure™ in Energy, Water, Telecommunications and Government Services. Since 1915, we have helped our clients improve the lives of people in over 100 countries through consulting, engineering, construction, operations and program management. Our revenues in 2012 were US$3.3 billion. Follow us on http://www.bv.com/ and in social media. 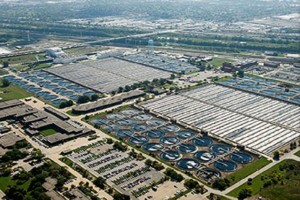 Established in 1889, the Metropolitan Water Reclamation District of Greater Chicago (www.mwrd.org) is an award-­-winning, special purpose government agency responsible for wastewater treatment and stormwater management in a 883.5 square mile service area in Cook County, Illinois. The MWRD’s mission is to protect the health and safety of the public in its service area, the quality of the water supply source (Lake Michigan), improve and protect the quality of water in watercourses, protect businesses and homes from flood damages, and manage water as a vital resource. The MWRD is committed to achieving the highest standards of excellence in fulfilling its mission.